If there’s anything we know how to do here in Wisconsin, it’s how to craft a great beverage. But with so many options of beer, wine and spirits in our state, how do you go about deciding what to drink when you post up at a bar, or what to grab when you head into the store? Well we thought we’d help, and raise a glass in appreciation, to some of the best craft beverages Wisconsin has to offer and share some of the coolest craft beverage makers from across the state. When you first walk in, the tropical vibes hit you right away with it’s bright colors and pirate decor, followed by the smells of both wine and beer. This small, family owned winery now includes a brewery, with over 40 different varieties of wine and craft brews to try. Having a little bit of everything, it’ll be hard not to find at least a few things you’ll enjoy. From their wines, we recommend their Scarlet Moon, as well as their Powder Monkey Spicy Red Ale. 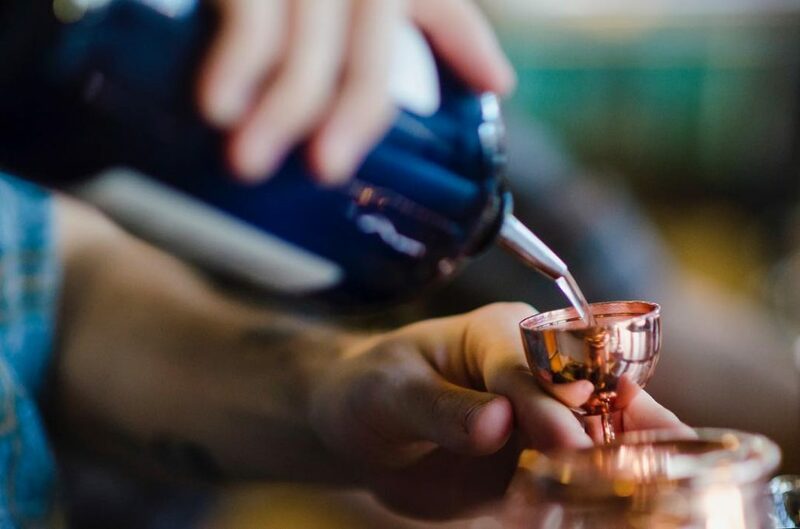 La Crosse Distilling opened up here in the summer of 2018, using quality ingredients from Wisconsin farms to produce grain-to-glass spirits such as gin, vodka and whiskey. This distillery makes tasty craft cocktails you can’t get anywhere else, along with a diverse menu of creative cuisine from Chef Jorge Guzman. Our recommendation; any drink with their Fieldnotes Gin. When walking in off the street, something you’ll notice immediately is their relaxed and fun social atmosphere. They don’t have any tvs or added distractions on principle, and they invite you to chat with their bartenders to help you figure out which beer is for you, as their list of beers changes seasonally. You can even watch their brewmaster hard at work in their small brewery, right from the bar. Depends on the season, but we recommend the Belgian Blonde ale. Pearl Street Brewery started out downtown back in 1999 on Pearl Street but has since moved to the old La Crosse boot factory. Opening the door to this location, you walk right into their tasting room that also faces the open brewery and right beside the brewery and tap bar is a classic-style arcade, with everything from Ms. Pac-Man to Galaga. Pearl Street is known for their creative, craft beer list that is a large collaboration of everyone who works there. As a part of their Funk My Life series, in a succession of hand-made beers produced in their Funk Cellar, we recommend their Funkadelicacy. Right off the Mascoutin Valley State Trail on your way into town lies Vines and Rushes Winery on the Prellwitz Family Farm. 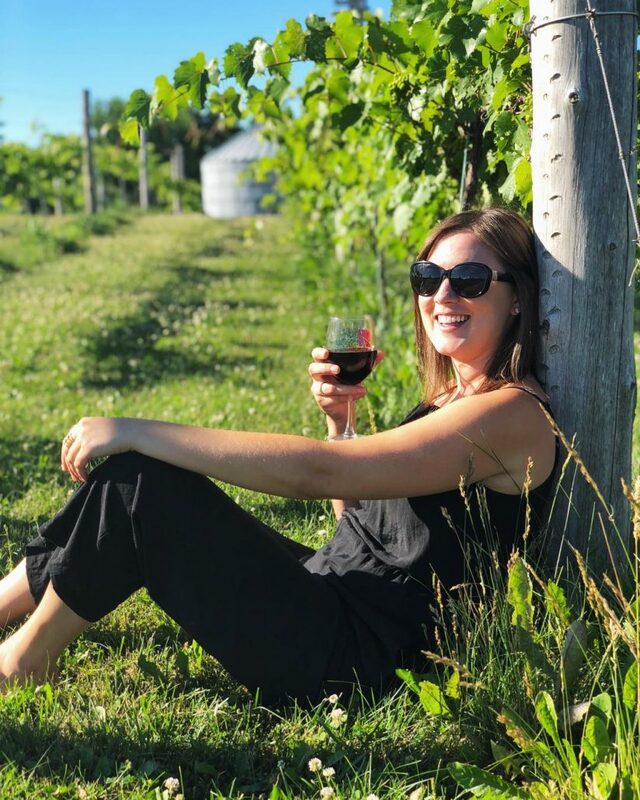 Known for their locally harvested wine right from their own vineyard, Vines and Rushes also serves wood-fired, brick-oven pizza, and has a steady stream of local musicians that perform live in their tasting room every Friday and Saturday. We recommend their Marquette red. Not too far from Vines and Rushes is the Hendricks Family Distillery, where they make their award-winning Pure Class Vodka. As the name suggests, the Hendricks’ use artisan distillation to achieve a very high proof potato vodka. The youngest son Carl went from refining oil to refining potato vodka when he decided to take his skills home and start a business with his family. The Hendricks’ make a specialty drink here called the ‘Jimi Hendrix’ with their vodka that we recommend. Once you make it into downtown Ripon, Knuth Brewing Company is a great spot to stop for a beer and some grub. Right in the heart of downtown, David Knuth meticulously brews his small batches to ensure quality, and uses only locally-sourced ingredients in his brews, as well as in his wood-fired pizza and coffee. Here, you can see right into the small brewery, with David hard at work making each batch by hand. What started out as a home brewing setup has now become one of the busiest spots in downtown Ripon. Here we recommend The Worker’s Mild Brown Ale. On your way out of Ripon, you might pass what you think to be a small, old schoolhouse, but it’s so much more. Rushford Meadery and Winery encompasses 6 classrooms of the 1962 schoolhouse they have taken over, where they craft and serve a variety of sweet and dry meads, as well as wines, right from their own vineyard. As the oldest craft beverage known to man, there’s not a lot places to grab a glass of mead, especially dry mead, and Rushford does it right. At Rushford, we recommend the Winneconne Wild Mead. We can’t talk about craft brews in Stevens Point without Point Brewery cropping up. Established in 1857, this brewery has been thriving in Wisconsin, and from beer to soda to hard cider, its list of craft beverages has continued to grow. As the third oldest, continuously operating, privately owned brewery in the US, they know a thing or two about creating drinks with unique flavors that keep people coming back to what they love. Here you can get your own tour of the entire facility, and end it at their tasting bar that lies in the heart of their brewery, where the brewmaster himself might pour you a beer from the tap. Small batch spirits are crafted at Great Northern Distilling in Plover, Wisconsin. Using all locally-sourced ingredients, this distillery creates all kinds of vodka, gin, rum and whiskey. And it’s what they can do with these spirits at their own bar right beside the distillery as to why we suggested calling for a lift. At this distillery, we have to recommend a Vanguard Whiskey Old Fashioned. At the corner of Crosby and Water Street near the Wisconsin River in Stevens Point lies Sunset Point Winery, a young, family owned and operated winery. From their hardwood interior, to their location near the riverfront and beautiful sunset views, there’s a lot to appreciate. They have created a relaxing home away from home where you can come to enjoy their wine and see the process of their small batches made in their eight fermenters. And like a lot of these craft producers, they spend time getting creative with the flavors of their wine. Our recommendation; their Red Dwarf. As the last stop on our craft beverage travels, Central Waters Brewing Company is not one to skip out on. What started with just two friends investing in a hobby expanded into a craft beer enterprise whose products can be found throughout the state. They pride themselves on being one the most environmentally sustainable breweries in the nation, and are dedicated to supporting local community organizations through donations. 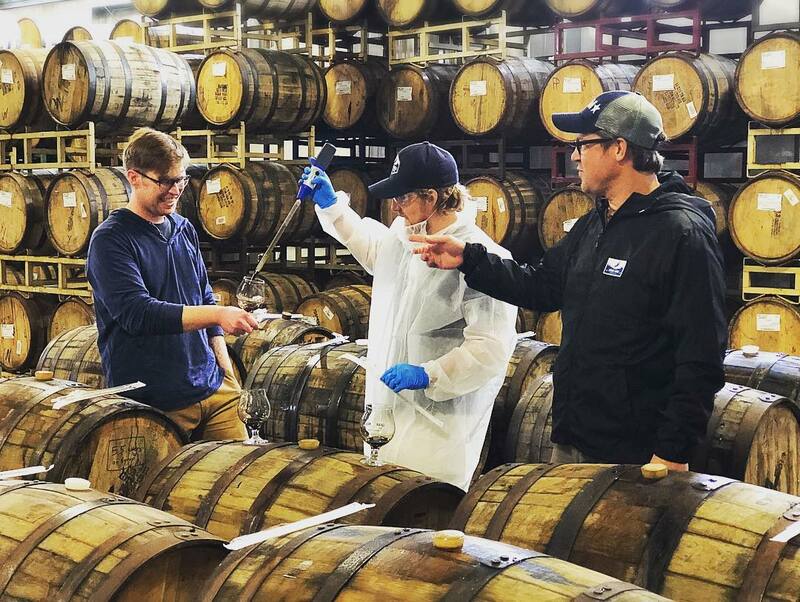 You can tour their bottling room, as well as their expansive bourbon barrel aging warehouse, and see all the details that come together in their craft beverage. Because of this attention to detail their beer list is full of incredible and unique flavor. Centrals Waters has a great Rift IPA you can get at most stores, but while you’re at the brewery, we recommend the 16. To learn more about all of these amazing craft beverage makers, watch Discover Wisconsin’s episode Wisconsin’s Craft Beverages – Raise a Glass now available on Roku, Chromecast, Smart TV, Apple TV, Amazon Fire, and at DiscoverWisconsin.com. Brian Mohsenian is a producer of Discover Wisconsin. Watch the show on Fox Sports Wisconsin every Saturday at 10am or on Roku, Chromecast, Smart TV, Amazon Fire, and Apple TV.